Enter a time warp when you visit the wonderful city of Trinidad on private sightseeing tours. It is among the most charming and perfectly preserved cities found in Cuba, nicely nestled near the Escambray mountains. It is also recognised as a UNESCO World Heritage Site. Trinidad is the ideal place for the anyone who loves history, culture or architecture but also for those who love the fantastic scenery and lively entertainment. There are many options and a great variety of exciting guided tours of Trinidad. Your time spent in Trinidad on walking tours will include strolling through the cobblestone winding streets and alleyways, looking in awe at the magnificent old and new architecture, visiting museums and best of all chatting with the friendly locals who will no doubt, chance their arm, and try to sell you something! While the cuisine generally in Cuba gets a bad rap, there are some very nice traditional dishes to be enjoyed when in Trinidad. It is just not as flavoursome or spicy as other countries. 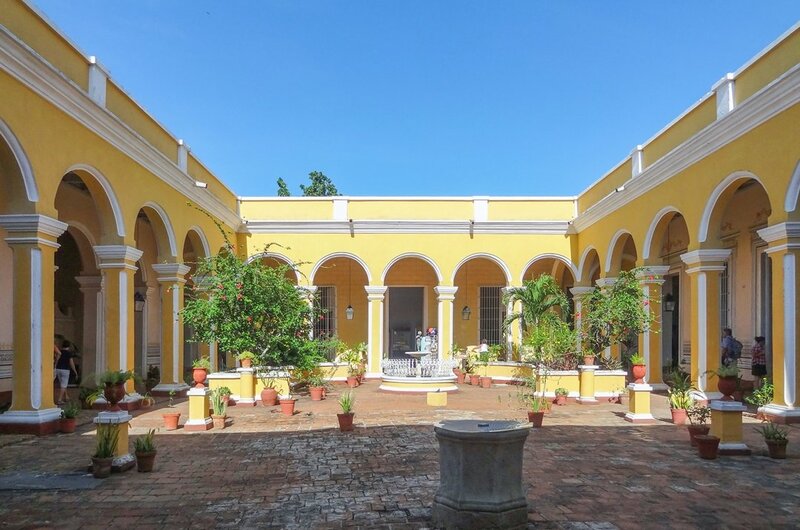 Many of the beautiful architectural old buildings are now museums and a very popular one to visit on a Trinidad culture tour is the Museo Romántico. This was once the Brunet Palace owned by Conde de Brunet, a sugar baron and one of the wealthiest people of the colonial period. Nowadays the museum displays the luxurious belongings of the Brunet family. 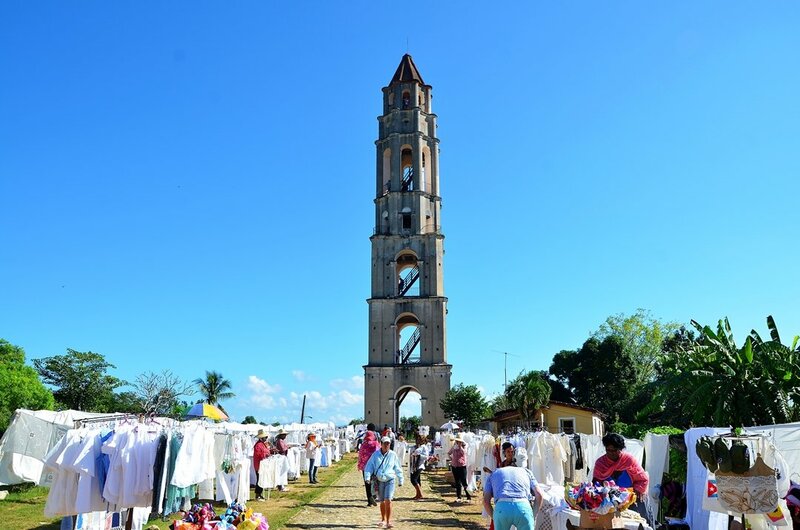 It is not all about the culture and history in Trinidad due to its location near the Escambray mountains. You can do exciting and thrilling adventure tours in Trinidad. 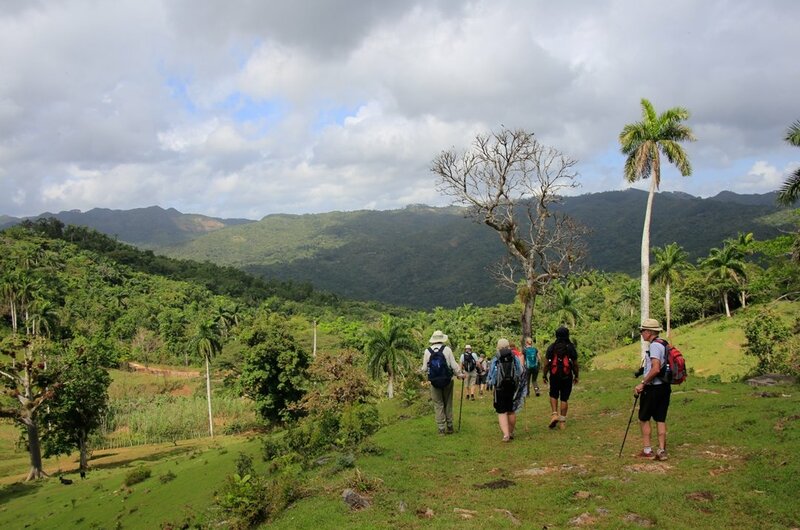 Topes De Collantes National Park is a nature reserve within the Escambray mountains. On hiking tours, horseback riding tours, 4x4 tours and many other activity tours, explore the beautiful sights such as the incredible waterfalls and caves. 1 Trinidad sightseeing tours will include travelling through the Plaza Mayor many times going from attraction to attraction. At the heart of the city is where you will find Plaza Mayor, a large square with walkways, raised gardens, cobblestoned streets and historic buildings dating back to the 18th and 19th century surrounding it. It is great to sit in one of the cafes or on a cast iron bench people watching or listening to salsa music. 2 The Museo Romántico is housed in a spectacular architectural building which is reason alone to take a guided tour here. However, the interior and the collections in the museum are excellent too. Almost all of them have something to do with the Brunet family. This building was once called the Brunet Palace and it was owned by one of the richest people in Cuba during the colonial period and Sugar baron. 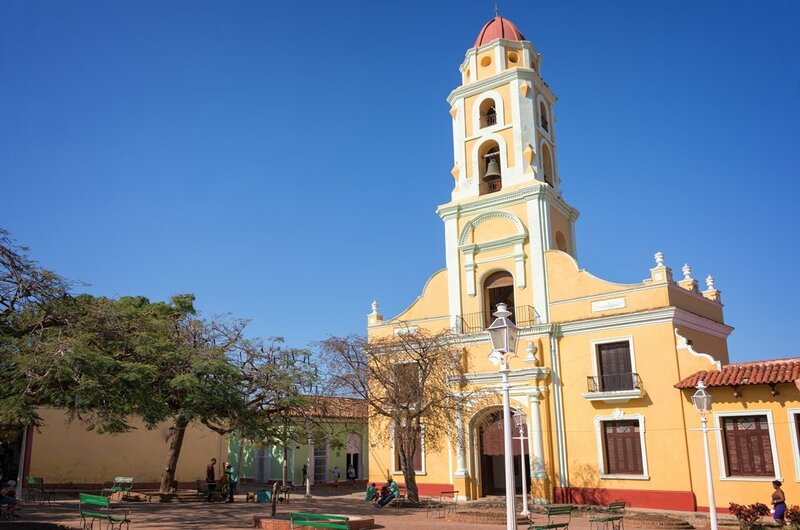 3 The Holy Trinity Church of Trinidad or in Spanish, Iglesias Parroquial De La Santisima is the largest church found in Cuba. Within the unbleached simple in design Neoclassical facade and architecture lies many interesting things and treasures. This includes the 18th-century wooden statue Christ of the True Cross or Señor de la Vera Cruz which is a much-worshipped statue which was meant for a church in Vera Cruz Mexico. 4 In the Palacio Cantero, you will find the Museo Historico Municipal. On a guided tour you explore the history of Trinidad and areas that surround the city. There are many exhibits on slave trade and wars of independence to name a few. The building itself is stunning and grandeur with large rooms and marble floors. From the tower, which you reach climbing steep spiral stairs, are panoramic views of the city and the Caribbean Sea. 5 For the best adventure tours of Trinidad, take a trip to Topes de Collantes National Park which is in the Escambray mountains. This is a destination for thrill seekers, bird lovers, hikers and anyone who appreciates beautiful landscape. This national park is often described as a labyrinth of jungle covered limestone mountains with amazing waterfalls, caves with underwater rivers and lots more for tourists to explore. 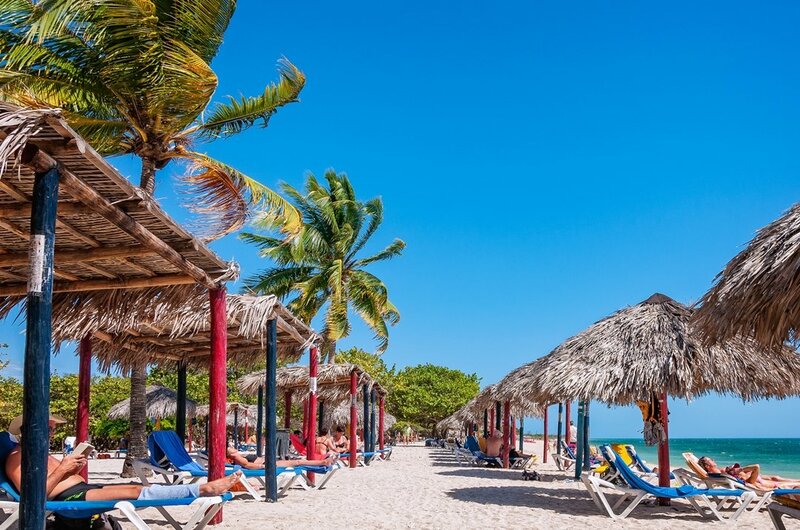 6 One of the nicest beaches found on the south coast of Cuba is Playa Ancon which is on the Peninsula Ancon. This beach is approximately 12 kilometres from the city in Trinidad. It is a lovely place to relax and enjoy the sun or do activity tours such as water sports, diving or snorkelling around the coral reefs just offshore. Take a boat tour from Playa Ancon to Cayo Blanco where you can dive to see Cuba’s largest black coral reef. 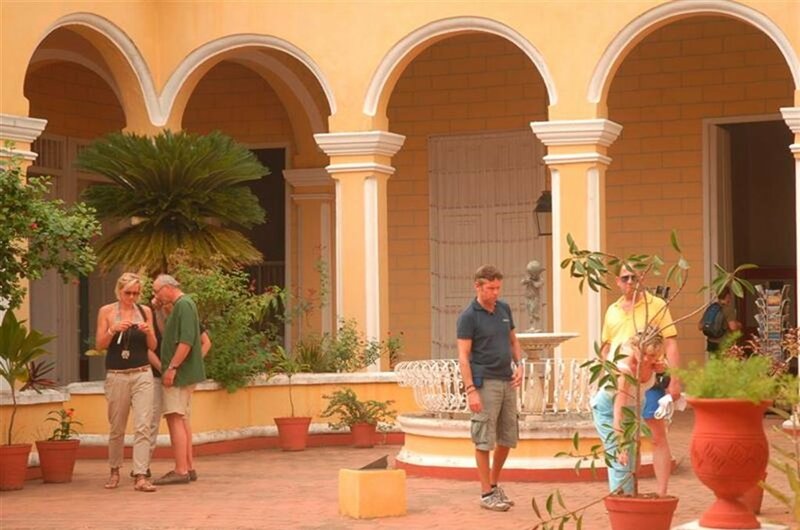 7 The perfect place to learn about Trinidad’s colonial architecture intricacies is on a private guided tour of the Museo de Arquitectura Colonial, the museum of Colonial Architecture. 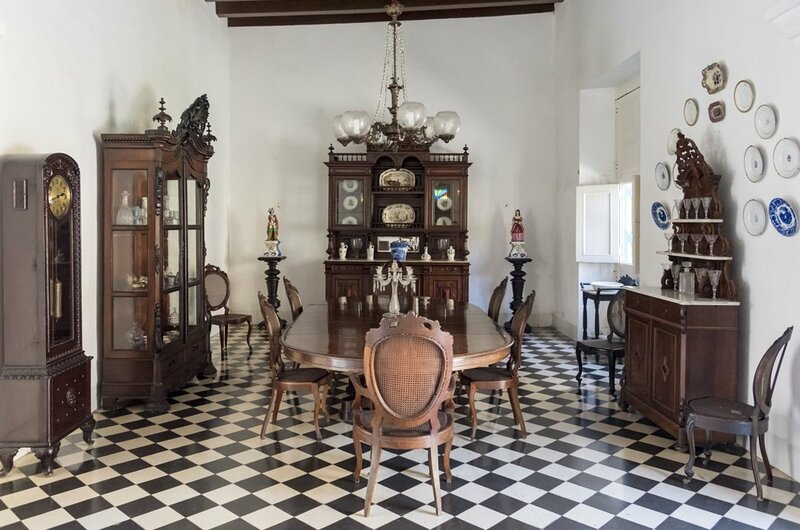 This museum is housed in the Sanchez Iznaga mansion which is two blue 18th-century buildings that in the 19th-century were joined. Walk around the interior and see the displays of architectural trimmings including locks, handles bathrooms and so on. 8 The beautiful scenery of Valle de los Ingenios is located east of Trinidad. It includes green sugar cane fields, mountains and palm trees. It is also known as Valle de San Luis and is a UNESCO World Heritage Site. On Trinidad sightseeing tours, you can be brought here to admire the landscape and visit the 19th-century relics and monuments related to the slave-tended sugar cane plantations and mills. 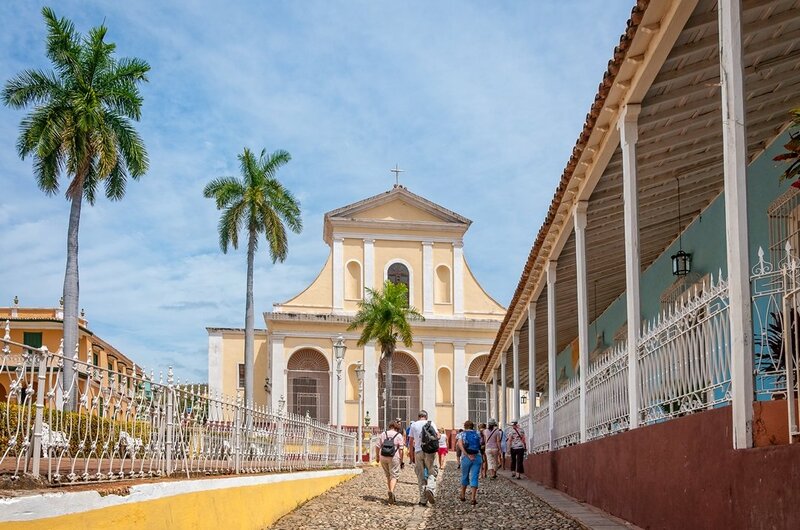 9 Iglesias y Convento de San Francisco is a prominent landmark in the city of Trinidad. This is probably more due to its yellow and green colour bell tower more than its picturesque architecture. It was built by the Franciscans in 1813. Nowadays it is the home of the Museo Nacional de Lucha Contra Bandidos or the National Museum of the Struggle against Bandits. This is a fascinating guided tour to take when in Trinidad. 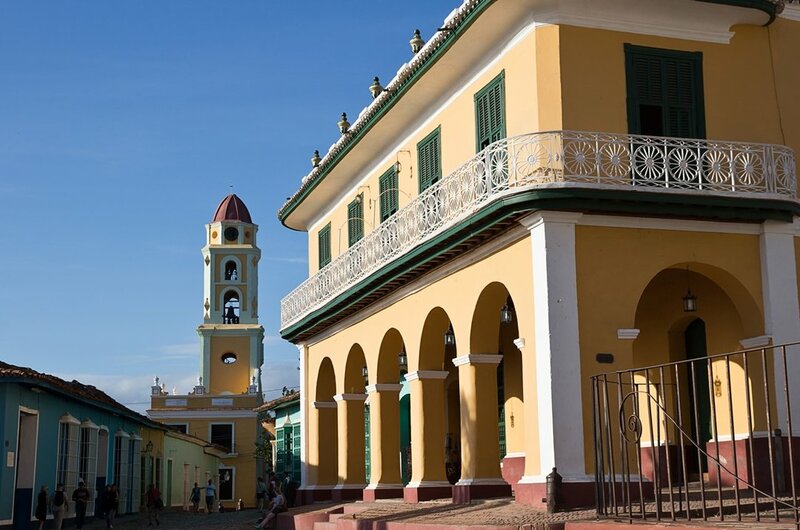 10 The best place to learn all there is to know about the history of Cuba is on a Trinidad private guided tour of Museo de Historia Municipal. The stunning colonial building which houses the museum was once the residence of Trinidads richest family when built in 1828. The museum consists of showcases and displays of murals, portraits, old artillery, old furniture and other historical memorabilia and artefacts. The ideal time to go on private sightseeing tours of Trinidad is December through to March. There may be some rainfall during these months, but the temperatures are not unbearable when walking around the attractions. August and September are very wet months so best to avoid these times. Also, check out when the festivals are on during the year because these are excellent times to visit with lots of festivities. 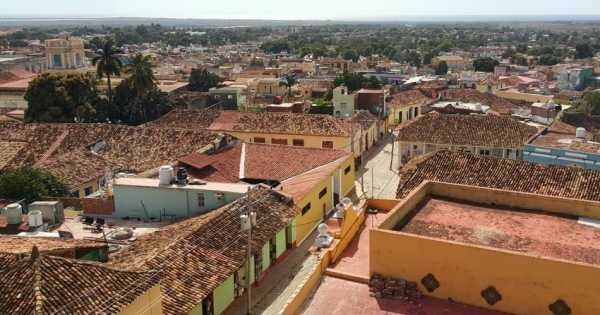 The city of Trinidad is very slightly cheaper than Cuba’s capital city Havana for tourists and a lot cheaper for residents. In Trinidad, you can have a lovely 3-course meal for two people in a decent restaurant for US$10. Accommodation is the city is excellent value and you stay in traditional colonial Casas. Adventure tours of Trinidad or guided tours are well worth the money you pay for the quality of service you are provided with. 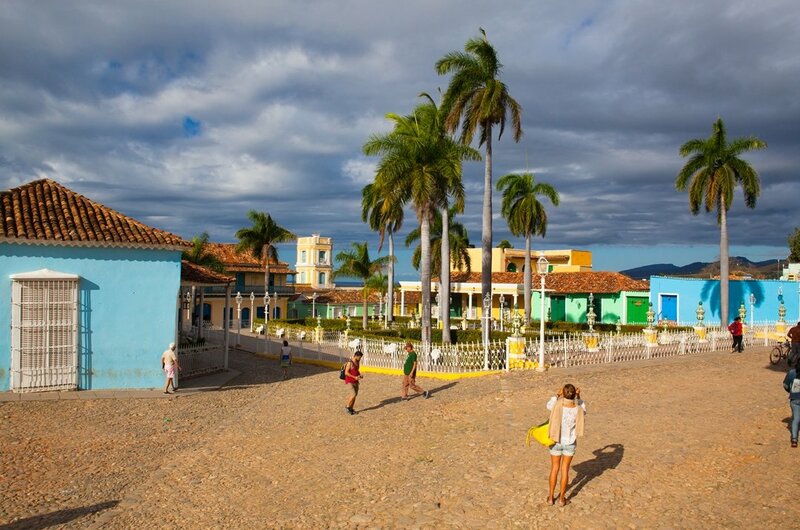 Very similar to the tips of Havana, when travelling to Trinidad or anywhere in Cuba, you need to check the situation on visa’s to enter the country. Do not drink the tap water, always buy bottled water which is very cheap. On sightseeing tours of Trinidad do not stray away from the group. When it comes to WiFi in the city, you may not have any in the hotels and you may have to rely on a WiFi card for internet hot spots. The climate in Trinidad is a moderate subtropical climate that consists of a humid season and a dry season. The humid season starts in May and ends around October. The dry season starts November and ends April. It does rain even during the dry season a small bit but the wettest times of the year are August and September. The temperatures are at their highest in July and August averaging 33 degrees Celsius. 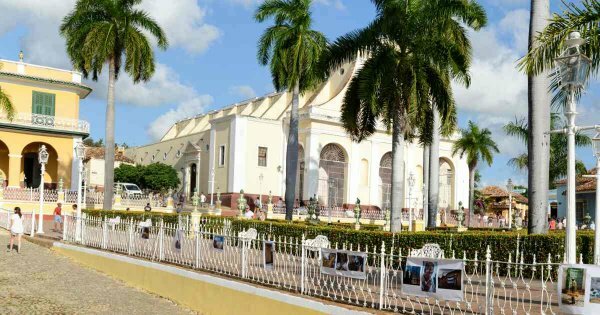 See the contrast between the two wonderful cities of Trinidad and Cienfuegos on this enjoyable full day tour seeing the famous sights!